Learn how to code in Java: Whenever, wherever. With Javvy and its 150+ bite-sized, interactive tutorials, getting started with programming has never been so easy and so much fun. 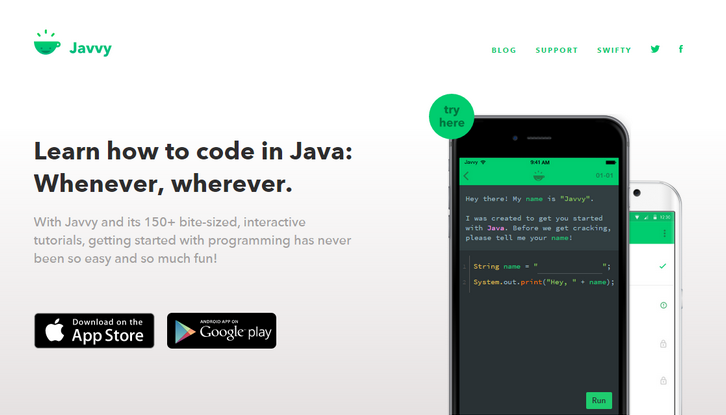 Javvy is the easiest and most entertaining way to make your first steps in programming. Javvy picks you up at the very beginning and allows you to learn at your own pace. With bite-sized tutorials, no break or subway ride is too short for a little coding. Javvy has a ready tongue and is packed with jokes and references to popular culture.